Needing an appealing way to welcome and inform guests upon first arrival to the site, a web banner carousel was created to allow multiple messages to be conveyed interchangeably. Keeping it consistent with their soft branding, three banners were created. 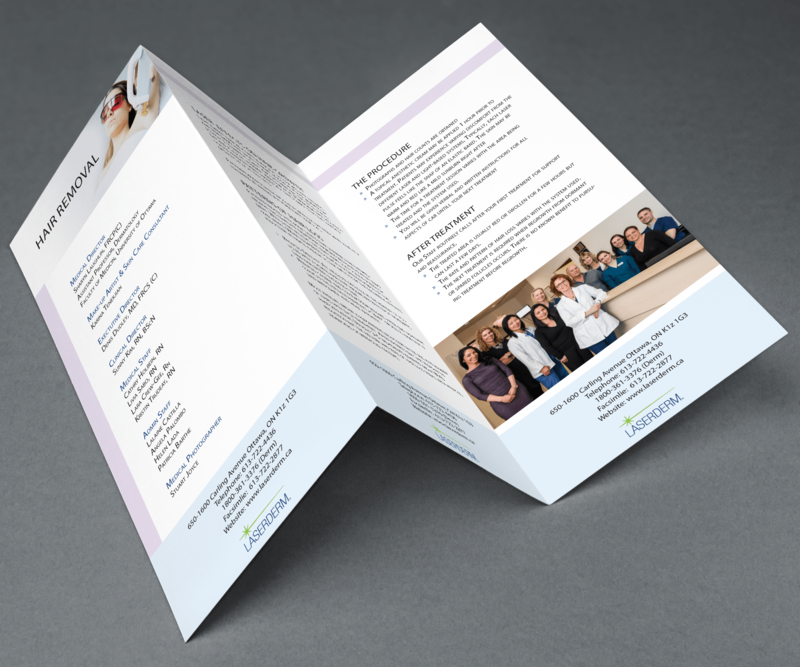 With the goal being to draw in interest, engaging images were used as the focal point, followed by white space and lastly informative text. Therefore, keeping the viewers interested but not overwhelming them. 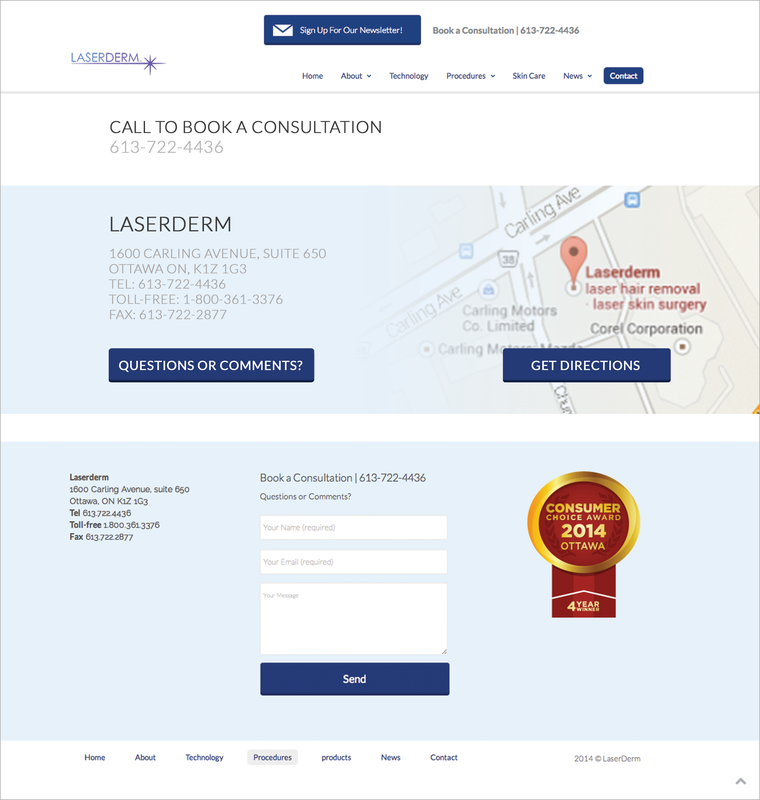 LaserDerm wanted to add a few informative pages to their website, such as, a contact page and a page to advertise some of the products that they provide at their clinic. 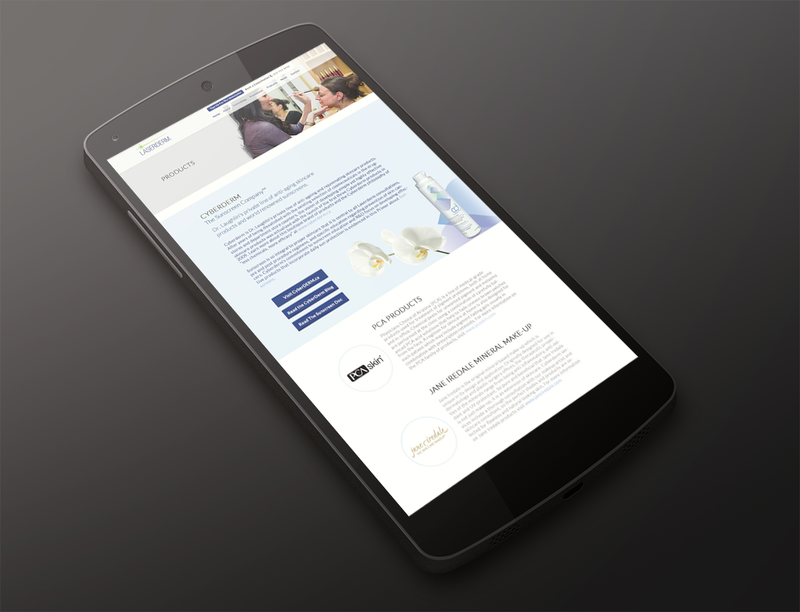 With the requirement that it look consistent with the rest of their website, the goal of the pages was to express priority information first continued but the rest.